I was looking for a new TV but didn't want to spend much. So I decided to go for a CRT TV. Now we have all grown up watching them, haven't we? Other than the "bulk", never faced any issues. Got Videocon (model# VCS21SBB) delivered from the NEXT retail shop. Turned it on only to find that it can't keep lines straight! To rule out any optical illusions that I might be having, it used a Test Card. It confirmed, as you can see below, that none of the lines are straight. Not only that, you can also spot unusual darkening around lower left and lower right areas. As expected, called Videocon customer service (or rather lack of it). A technician paid a visit. Concluded that "this is NORMAL and cannot be fixed because there is nothing to fix". 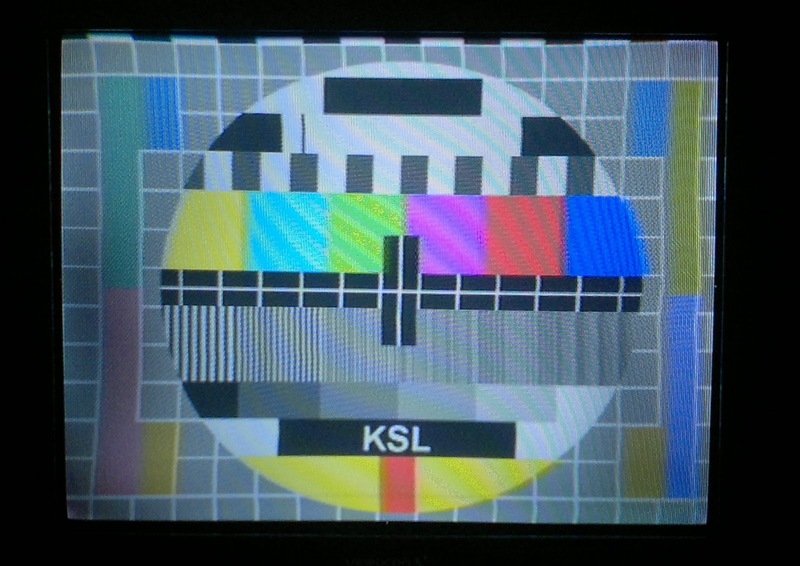 So if you have grown up watching CRT TVs, do you too think that it's normal? I don't for I have never seen such distortion in a CRT TV. I mean they have had Test Cards just for the very purpose, since time immemorial. Mr Dhoot. and Company refused to acknowledge that there was indeed a problem and did not return any of my calls for service. At this point, totally frustrated by their attitude, I had almost decided to go to the Consumer Forum. But something happened and I took the TV to the the retailer. I showed them the "problem" - they acknowledged but also put forward a "confessional argument" that all CRT TVs these days are just like that. It's unfortunate that they were RIGHT. I also observed the alignment issues on other CRT TV sets. 2. I did not want a Videocon anymore. Had to haggle for an hour or so, but finally I left the TV at the shop, and told them that I would come back in a few days and take another TV, which in no case would be from Videocon. Went back and got a new Philips LCD this time. No questions asked. Because I was able to get a replacement from the dealer, I am not going to sue Videocon anymore, but the least I can do is to spread the word. Never buy Videocon, not only their products are genetically defective, there corporate culture is also rotten.